Magento has several issues with duplicated content. Of course, you don’t actually have two versions of the same content in your database, however, in the eyes of search engines, two different URLs serving same content are counted as duplicated content and will cause you lots of problems. The most obvious problem is that your page rank is leaking on different versions of virtually the same landing page. You also might end up with having several versions of the same content indexed which is bad in so many ways. 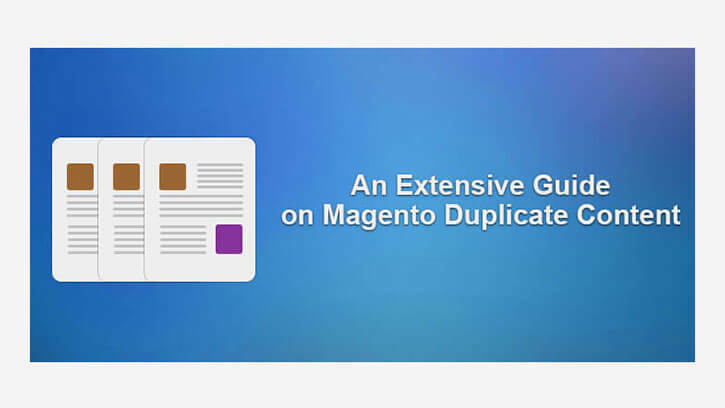 First duplicated content problem in Magento occurs when you are listing a product in multiple categories. Magento will create several URLs that actually contain the same content such as: example.com/product_name.html example.com/category_1/product_name.html example.com/category_2/product_name.html All of these URLs will have identical content but search engines will see them as different files. The easiest way to avoid this problem is to simply turn of the category based URLs in Magento admin panel. This way you will always serve exactly the same URL no matter which direction user took to find your product and it will be example.com/product_name.html. However, you might actually want to have category based URLs for both usability and SEO reasons. Don’t worry, there is a solution for you here, it just involves a little more work to do. What you need to do is put a rel cannonical on the URLs with category base pointing back to the original product URL. This probably sounds like some sort of voodoo but if you reed about rel canonical it will be piece of cake. The second duplicated content issue in Magento occurs when Magento puts famous SIDs in the URLs (ie. ?__SID=U). This might result in your products being indexed under different SIDs and again, creating duplicated content. This issue is also easily fixed by use of rel canonical. Simply put a rel cannonical on all of the products with SID in URL, pointing back to the product’s original URL.